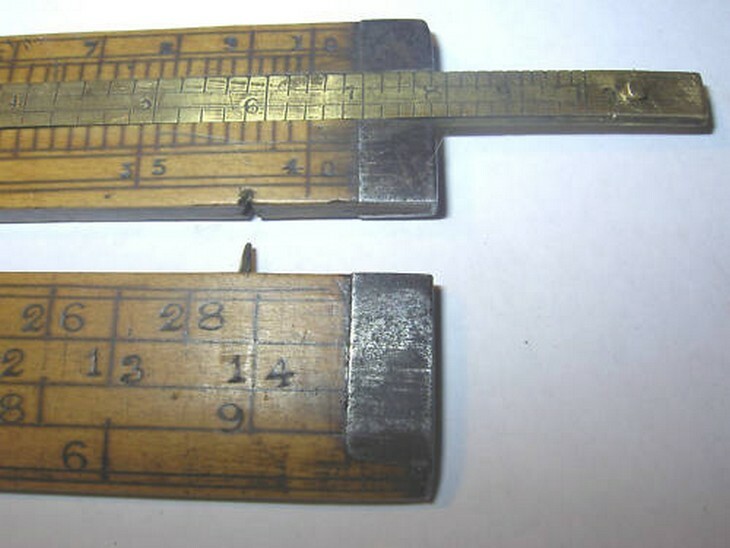 An early (late 1800's) hand stamped 24" two fold carpenter's rule incorporating a brass-inlaid slide rule. No maker's name. The numbering is clear but somewhat erratic due to being stamped by hand one number at a time. Single decade log scale in the top arm, in the Coggleshall pattern (1 to 100). There are four scales in the bottom arm: 1/4, 1/2, 3/4, 1. 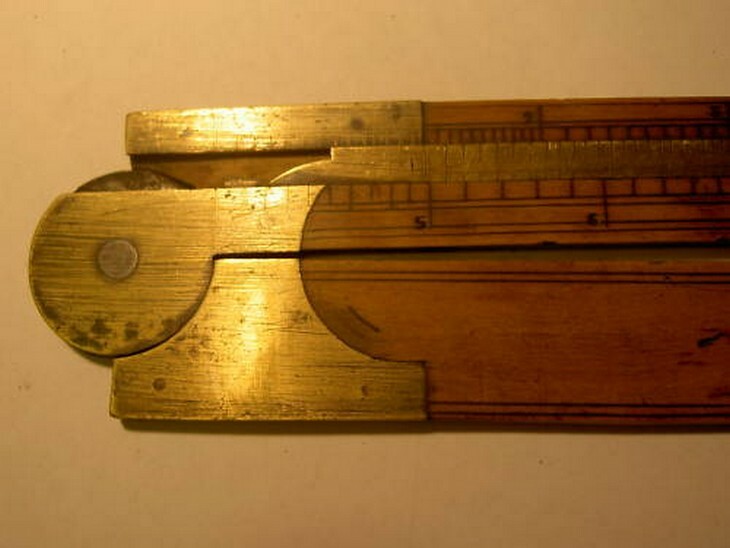 The reverse has standard inch plus 'square' and 'line' scales.